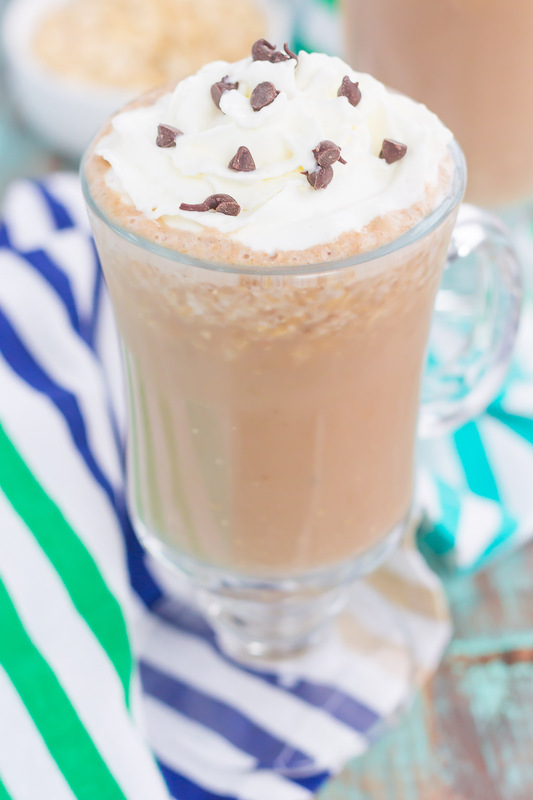 This Iced Coffee Smoothie is the perfect way to get your morning off to a good start. 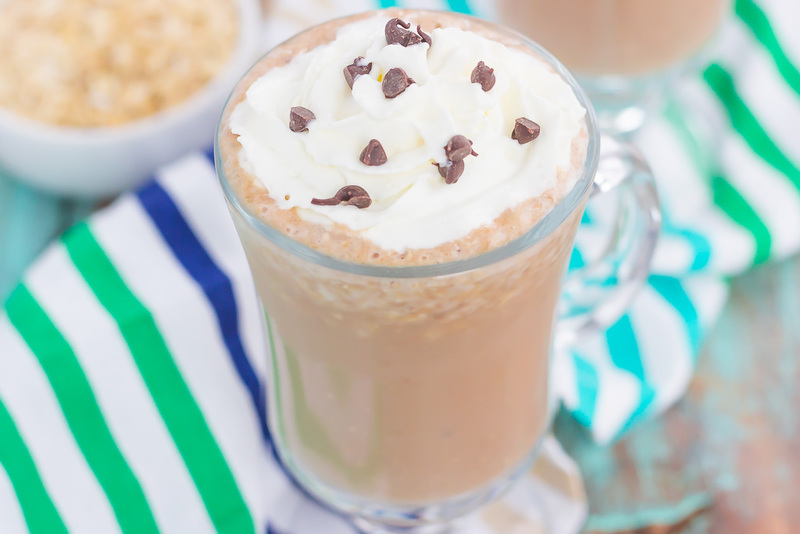 Packed with coffee, oats, honey, and a banana, this healthier drink takes just minutes to make and will keep you going all day long! Some days you just need gigantic amounts of coffee to get you going…am I right? Well today is one of them, friends. Not only do I feel like a walking zombie, but I’m pretty sure that I look like one, too. I don’t always sleep the best, so when mornings hit, you don’t really want to be around me. I’m not much of a morning person…have I mentioned that before? I really wish I was, and sometimes I try to be, but I’m more of a night owl and am a grump in the mornings. Let me sleep in, or at least give me my coffee and leave me alone. I’ve always been like that, and the hubster has always been a morning person. So needless to say, we’re in opposite moods come morning. The hubster is rarin’ to go and ready to talk, while I’m desperately wishing for more sleep and don’t want to mumble a word. Tell me, are you a morning person or night owl? Whatever category you fall into, I’m hoping that you enjoy coffee just as much as me. While I don’t really drink it for the caffeine (caffeine really has no effect on me at all), I drink it for the taste. It gets my day off to a good start, warms me up, and helps me to relax. But today, I put a spin on my usual cup of joe and created something special. I know we’re still in the dead of winter here in the Midwest, but that doesn’t mean you can’t enjoy some iced coffee while bundled up under a blanket. 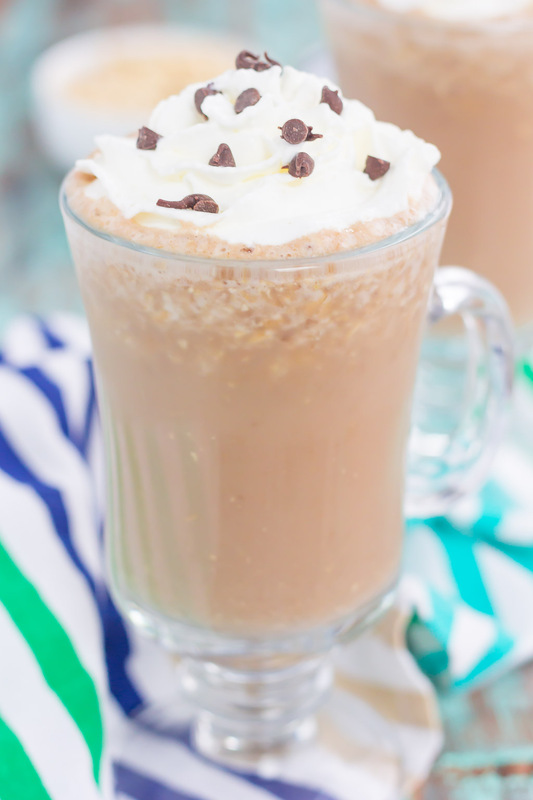 And trust me when I say that this Iced Coffee Smoothie is what you need in the mornings, especially with your kind of a grump like I am when the sun rises! 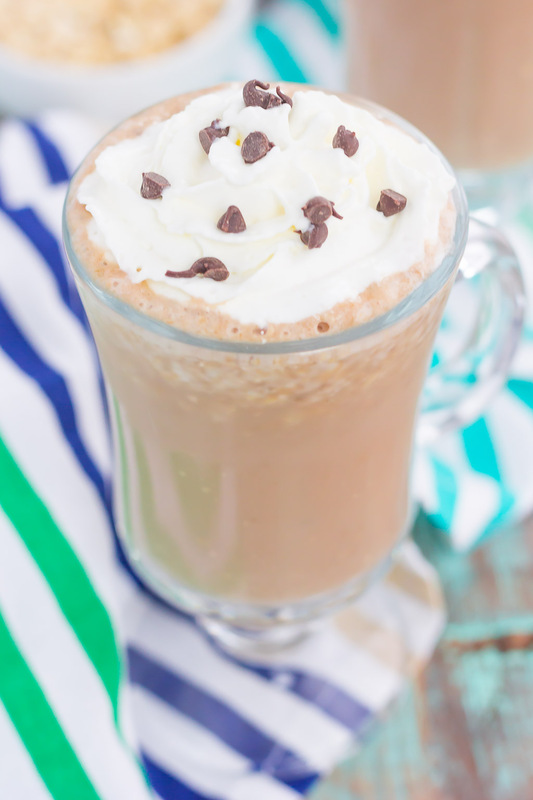 The kick of caffeine and smooth coffee, hearty oats, a touch of honey and banana make this drink extra special. And easy, so easy to make! But you knew that was coming, right? I love using my blender whenever I can, and when it requires me to dump the ingredients in and then pour into a glass, it makes me one happy girl. 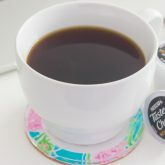 It’s best to make your coffee ahead of time so that it has a chance to chill, but if you’re pressed for time, just add some extra ice cubes to your blender. 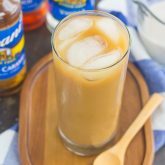 So if you’re looking to jazz up your morning (or afternoon) coffee routine, try giving this Iced Coffee Smoothie a whirl. 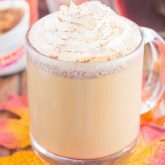 It’s creamy, slightly sweetened, and filled with the coffee taste you love! In the canister of a blender, combine the ice, banana, coffee, milk, oats, honey, and vanilla extract. Blend until reaches desired consistency. If needed, add more honey to sweeten. Perfect way to start the day! I'm like your husband -- definitely a morning person -- but I still need my coffee right away. 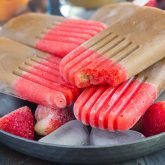 This is a refreshing twist...and perfect for the warmer months ahead! Thanks, Blair! I agree, this would be perfect for the summer! I am a terrible sleeper - insomnia combined with terrible sinus problems - so coffee in the morning (and afternoon) is a MUST! Needless to say this smoothie is definitely calling my name!!! It looks super refreshing and absolutely delicious, Gayle! Pinned! Cheers! Ugh I hear you about sinus problems, too! Thanks, Cheyanne! You and I are alike -- I'm not a morning person and I don't want to talk in the morning until at least after I've had my coffee! I love smoothies and even better when coffee is involved -- I love this! Thanks for the coffee love, Marcie! Dang, this looks and sounds amazing!! Very cute presentation, too! Nice! An iced coffee smoothie is a great idea. This will definitely perk me up in the morning. This is love. Thanks for the coffee love, Sheila!